Fairy Wine from Black Phoenix Alchemy Lab is a part of their Neil Gaiman, Stardust collection of fragrances that are supposed to invoke characters or concepts from the book, Stardust. 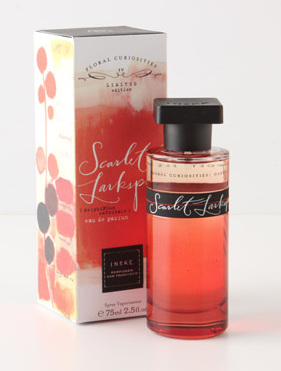 I was originally intrigued by this fragrance because it purportedly actually smelled like wine. In Bottle: Fancy that, it smells like wine! Wine with a hint of sweetness and blackcurrant. Applied: Now I’m about as unsophisticated as you can get when it comes to wine so I can’t identify what type of wine this is if there is a type to this. All I can say is that it has that deep, fruity scent of wine with a hint of honey, a little bit of green bitter dandelion, and a few tart blackcurrants added into the mix for good flavor. The notes blend together very nicely with the wine taking on a bit more sweetness as the fragrance ages on the skin. The final stretch of this fragrance has me smelling less wine and more currant. Extra: Fairy Wine is a joint venture between Black Phoenix and Neil Gaiman for a charitable cause that goes to the Comic Book Legal Defense Fund. Design: The bottle is, of course, the same as all other Black Phoenix Alchemy Lab scents. The only difference is the label which features interpretive illustrations of Stardust characters and other elements. The artwork was done by the very talented Sarah Coleman. Notes: Wine, dandelion, honey, blackcurrant. Well, I did go into this expecting wine and I got what I wanted after all. While I don’t know if I can wear this often it is quite a pleasant scent. 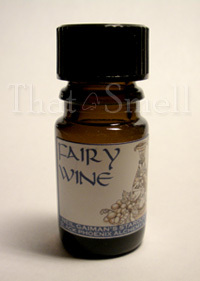 Reviewed in This Post: Fairy Wine, 2010, 5ml Bottle.